Helping people with communication difficulty to have a voice and connect with others is something Jade is really passionate about. Jade Telfer grew up in Albury Wodonga and after completing a Bachelor of Health Sciences (Speech Pathology) at Charles Sturt University she moved to Melbourne to work as a Speech Pathologist at Everyday Independence. Having helped hundreds of participants reach their goals and enjoy an everyday life she is returning home to Albury Wodonga to extend Everyday Independence’s regional services to support people in the Albury Wodonga region. On July 30, 2018 Everyday Independence will open its doors in Dean Street, Albury and Jade will lead the team of occupational therapists and speech pathologists who will work with people with a wide range of physical, social and intellectual disabilities and their families to focus on their specific needs and situation to achieve their goals. “We support people of all ages to live to their full potential and enjoy an everyday life. Our therapy is focused on what is important to the participant and importantly delivered where they live, work and learn and play,” Jade said. “We have seen the wonderful ways the NDIS has supported people to build skills and capability, so they can participate in the community,” said Jade. Everyday Independence already operates across nine sites in Victoria and New South Wales delivering evidence-based therapies that achieve results that are meaningful to each participant. Everyday Independence has been providing therapy to people in the Albury Wodonga area for some time with regular visits from therapists from its Bendigo team. 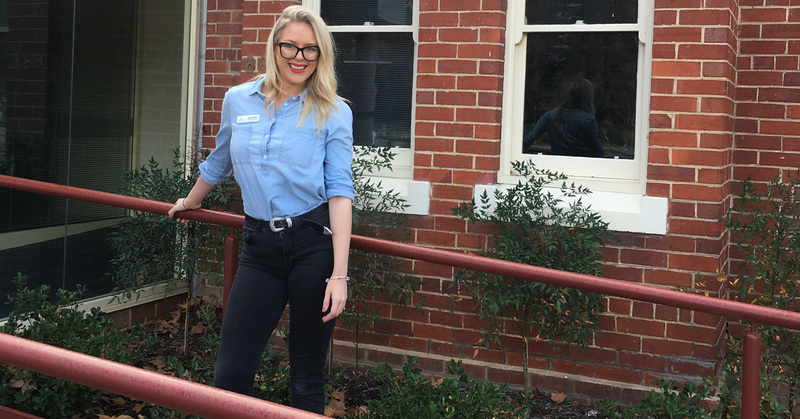 “The demand for therapy support is growing and having a team member who was keen to live and work in the Albury region is a perfect opportunity to expand our services” explained Leanne Healey, Everyday Independence Director and occupational therapist. “Everyday Independence offers a team based approach providing the right therapy, at the right time to achieve each participants goals which I think is an important component to make a real difference in a person’s life,” she said.